I’ve been documenting the beauty of the Hakone Japanese Gardens in Saratoga, California, for over 20 years. 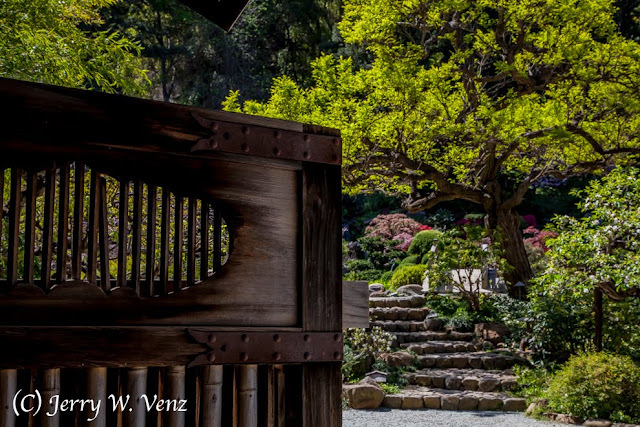 As one of the National Trust for Historic Preservation’s premier sites and 100 years old Hakone is one of the oldest Japanese gardens in the Western Hemisphere. In 2004 It was selected as one of 12 national sites to receive funding under the Save America’s Treasures Program. In 2013 it was placed on the National Register of Historic Places. 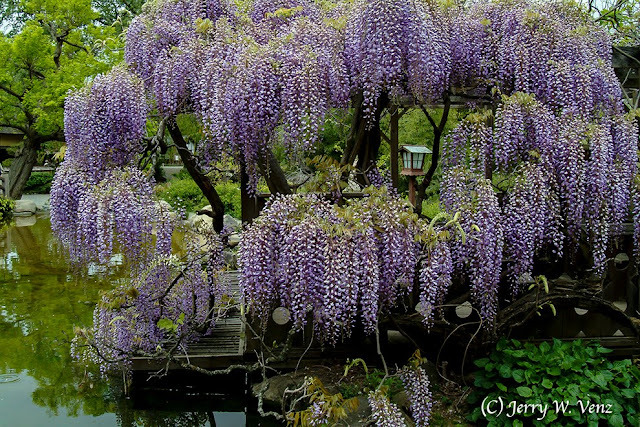 I’ve been supplying the Hakone Foundation images for their publicity and funding campaigns for the past 15 years. 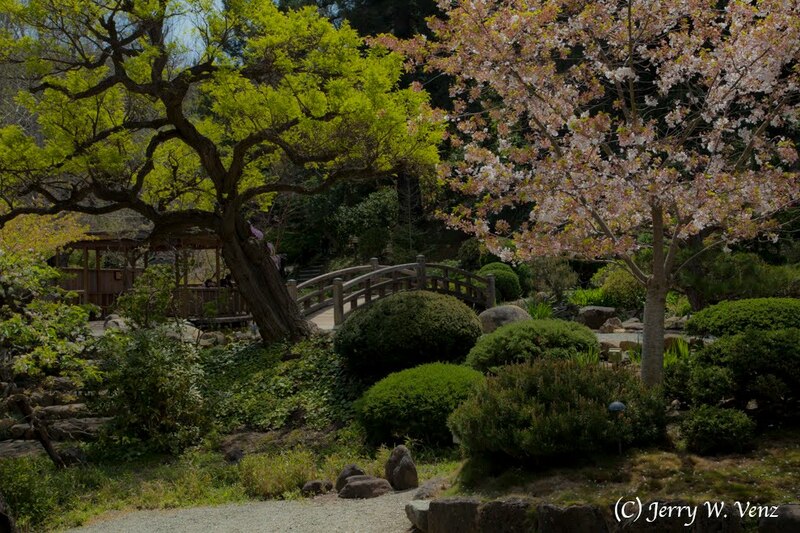 I’m proud that my images helped the Hakone Foundation to win the funding grant in the Save America’s Treasures program. The main gate, with its large double doors, constructed using bamboo, has always been a favorite feature of mine. 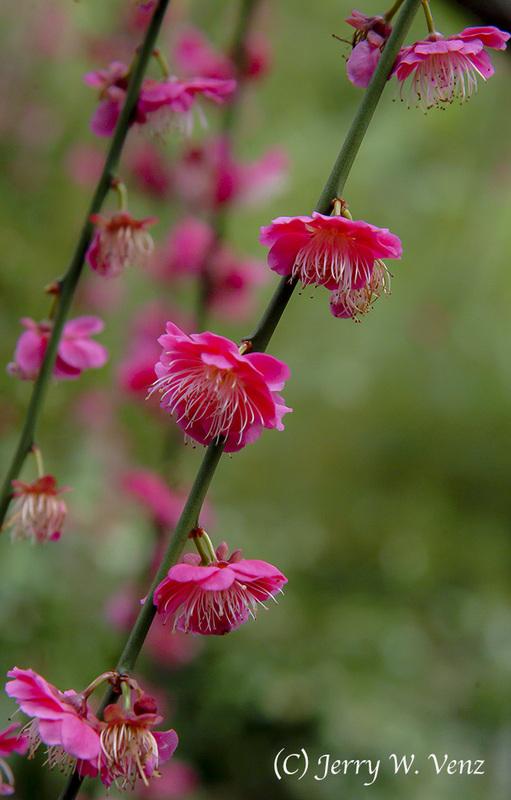 One of the best times to photograph the gardens is in early April when the most colorful blooms appear. This view shows off one of the garden’s most well know features—the bridge over the Koi pond with that old gnarled tree at its entrance. I waited for backlight for this image to really make the blossoms and the tree’s foliage glow. This was done April 10th at 3pm; I photograph the wisteria either under overcast sky or I wait until its not in direct sunlight to avoid over exposure of its highlights. 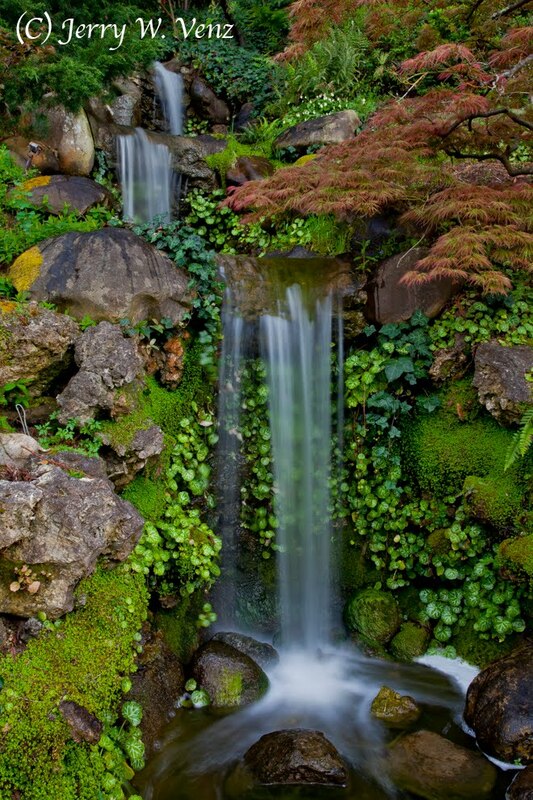 This waterfall cascades down three tiers in a span of about 12 feet. It was taken the day after the last image, but I came back at nearly 7pm so that this side of the mountain would be in total shade to control the highlights and lower the overall light level. Then I could use a 1-second time exposure to get the smooth effect on the falling water. I still had to lower my ISO and use an aperture of f22.0 but that was by design because I wanted lots of depth-of-field too! 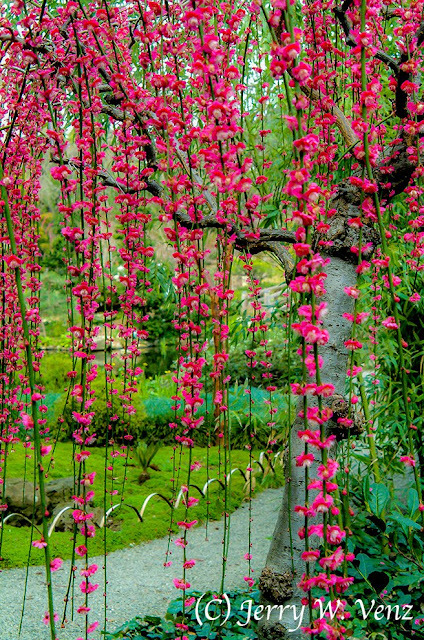 At the end of February my favorite tree blooms…. This is a Japanese weeping cherry tree. I really like the dramatic color contrast of its blossoms against the greenery in the background. I used a relatively small aperture on this image (f8.0) because I wanted that row of blossoms to be sharp. I see many photographers, when doing close-up images, using really wide apertures—say f2.8 or even wider—thinking that if they didn’t their backgrounds would be too sharp thus loosing the isolation they want between the subject and the background. What’s important is the distance between the subject and the background. I made sure that the vine of blossoms I picked to photograph was far enough away from its background that even at f8.0, coupled with mild telephoto, the blossoms would be sharp yet the background would be nice and blurry. If I had used say f2.8 the depth-of-field would have been so shallow that only the leading edge of the blossom’s petals would have been in focus.